Husband and wife team, Oliver and Stacey founded Chandler Stoneworks 15 years ago and have a wealth of knowledge and expertise in natural stone and quartz worktops for kitchens and bathrooms for both private and commercial customers. The showroom and workshop are based at The Vinery, Arundel where Stacey will happily meet customers, show samples across the different product ranges and offer advice on colour schemes and timescales. Oliver and Stacey have invested heavily in plant and machinery and training to ensure that the entire team are fully equipped with the best resources and skills to ensure a safe and professional environment for all staff. The fully equipped workshop is where the professional and skilled team of stonemasons will produce an extremely high quality of worktops giving the whole team an immense sense of pride for each and every job. Visit us today! Suppliers of high quality natural stone from around the world. We work closely alongside interior designers, property developers, kitchen companies and architects. Free samples and 1-3 day delivery nationwide. An established family business with over 20 years experience, where we pride ourselves in fine workmanship and excellence of quality. Our reputation has been built, both locally and nationally. Here at County Stone Granite, based in the South of England, we specialise in the manufacturing of granite kitchen worktops and granite bathroom worktops for both commercial and private markets, plus the finest handcrafted fire surrounds and limestone fireplaces. DTW Ceramics UK Ltd. are a leading supplier of Ceramic, Porcelain, Glass & Natural Stone Tiles. We have a large range of White Octagon Floor Tiles, Black & White Metro wall tiles, and thousands more lines available to all! 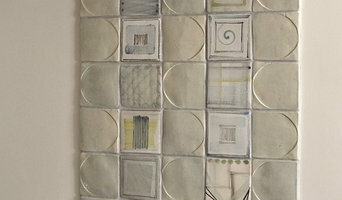 We are an online mosaic tile shop, specialising in glass tiles. With a comprehensive offer of colours and finishes, Mosaic Village is your online destination for glass mosaic tiles. A family run business based in Hampshire we, pride ourselves on our solid surface expertise and craftsmanship. 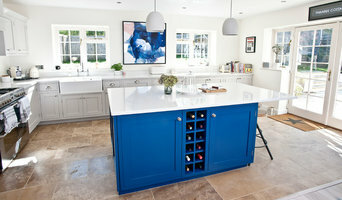 We are the south's leading providers in residential and commercial solid surface installations. Our team of experts have over 40 years of experience within the industry, meaning you are in safe hands with us. 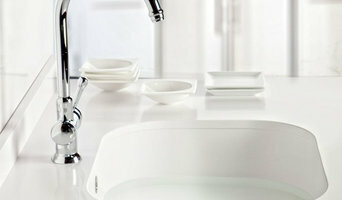 We are Hampshire's only DuPont™ Corian® Quality Network Fabricator and also proud members of the Hi-Macs Quality Club. Worktop installers and tilers in Portsmouth, Hampshire can advise on the best tiles and materials to use based on your tastes and requirements and then will be able to install them to a high finish in your home. Kitchen worktops are a major part of your kitchen – you need surfaces that will be scratch and heat resistant, but at the same time still look attractive and work in harmony with your kitchen units, splashback and other kitchen elements. A worktop manufacturer and installer will be able to fit new kitchen worktops or replace old ones with ease, helping you to pick out the best kitchen worktops for your home first. Tiles are so versatile that they can be used in kitchen splashbacks, floors, bathroom walls and as decorative designs elsewhere in the house. Tile manufacturers and tilers in Portsmouth, Hampshire will have a great range of tile designs, sizes and materials to choose from and will help you to pick the best tile for the job. Laying tiles may look easy sometimes, but one badly laid tile can ruin a whole floor or wall, so it’s really best to leave it to a skilled tiler. With Houzz you can find Portsmouth, Hampshire tilers, tile manufacturers and worktop installers near you and check their previous projects, reviews and ratings to decide if they’re a good fit for your home design project. Why should I hire worktop installers or tilers in Portsmouth, Hampshire? Perfectly laid tiles and worktops can look simple and seamless once finished, but installing them is far harder than it looks. It really pays off to hire a Portsmouth, Hampshire tiler or worktops professional as they will have the experience and expertise to finish the job efficiently, quickly and to a high quality. From metro bathroom tiles and porcelain tiling, to kitchen worktops, splashbacks and travertine floor tiles, there will be a tiler or worktop professional who can install the surface you need for your bathroom or kitchen design. There will even be tile and worktop repairers to help you if you need a quick fix-up to your surfaces. Tile manufacturers, worktop professionals, and often tilers in Portsmouth, Hampshire themselves, will also be able to advise you on the right materials to use if you’re not decided on one particular type. They can tell you the advantages of the different flooring, wall tiles and kitchen worktops so you can make the right decision for your home. If you’re after a bespoke tile pattern, mosaic or mural created and laid in your house, this will also be possible with Houzz as we list such a wide range of tile manufacturers, worktop professionals and tilers in Portsmouth, Hampshire. It could be the case that you can find a design or construction company that can offer tiling and worktops as part of their work, whilst also undertaking other projects for your house redesign, so it’s worth looking out for these professionals, too. Here are some related professionals and vendors to complement the work of tiles, stone & worktops: Interior Designers, Architects & Building Designers, Main Contractors, Kitchen & Bathroom Designers, Design & Build. Find a tiler or worktops professional on Houzz. 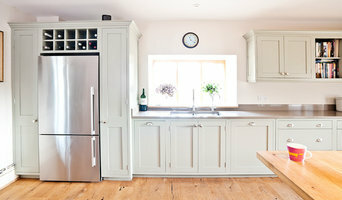 Narrow your search in the Professionals section of the website to Portsmouth, Hampshire tilers and worktop installers. You can also look through Portsmouth, Hampshire photos to find projects you like, then contact the contractors or tilers in Portsmouth, Hampshire who worked on the tiling work or kitchen worktops.